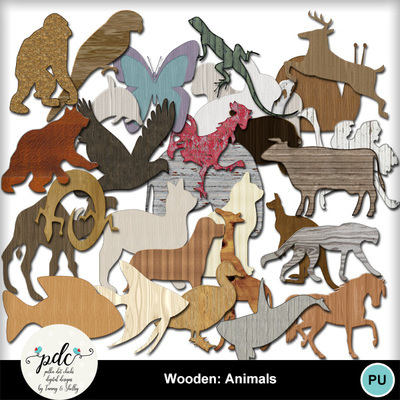 A great set of wooden animals for your pages/layouts. This is an assortment of animals from a butterfly to a whale! These are large but easy to resize. I am sure these will make an impact on your pages and add that fun whimsical touch. Coordinates with all our other wooden papers/embellishments.